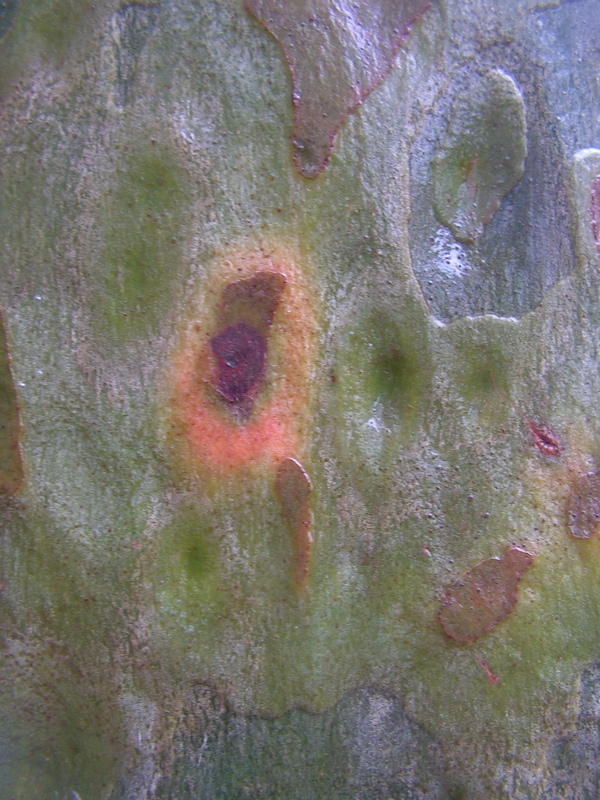 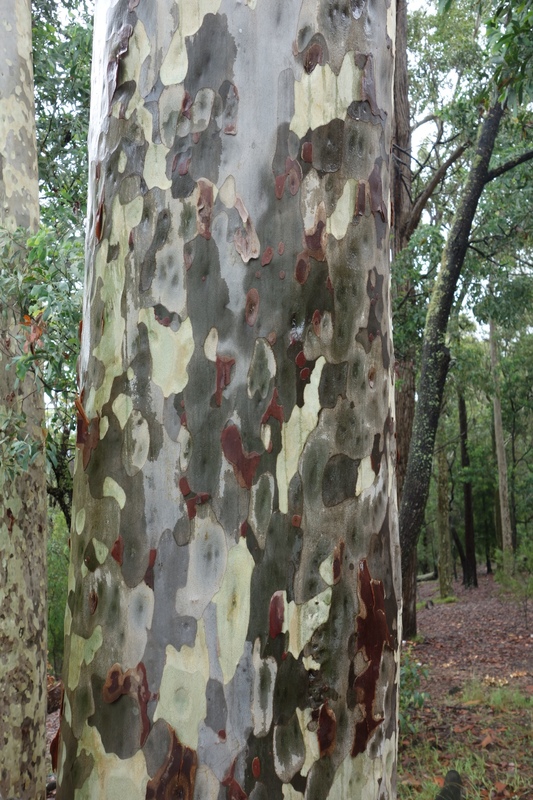 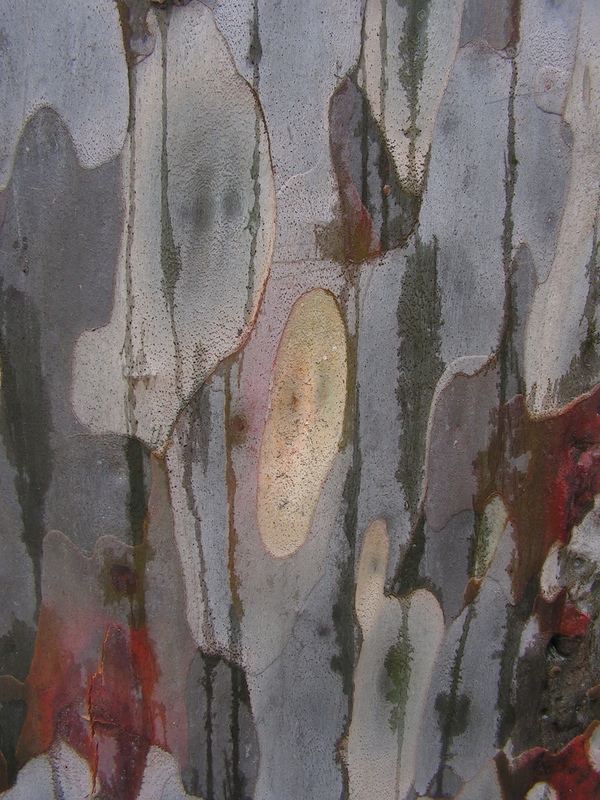 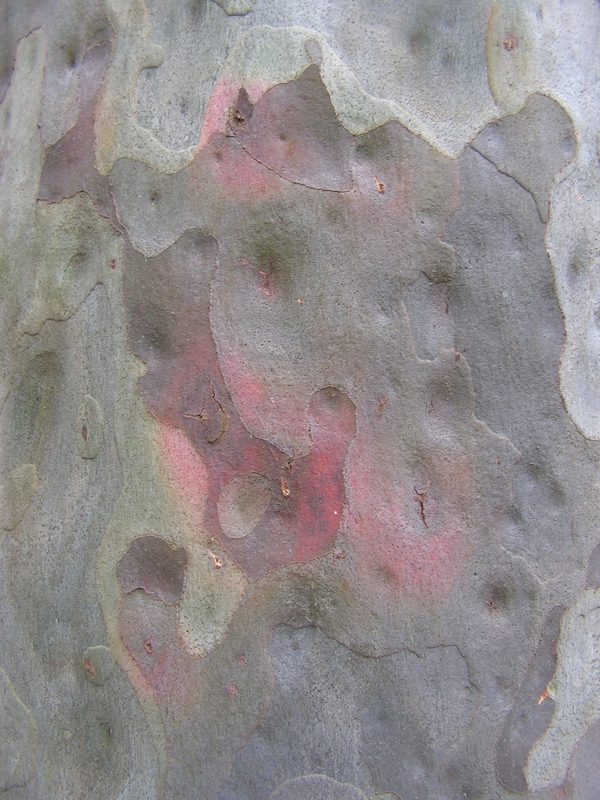 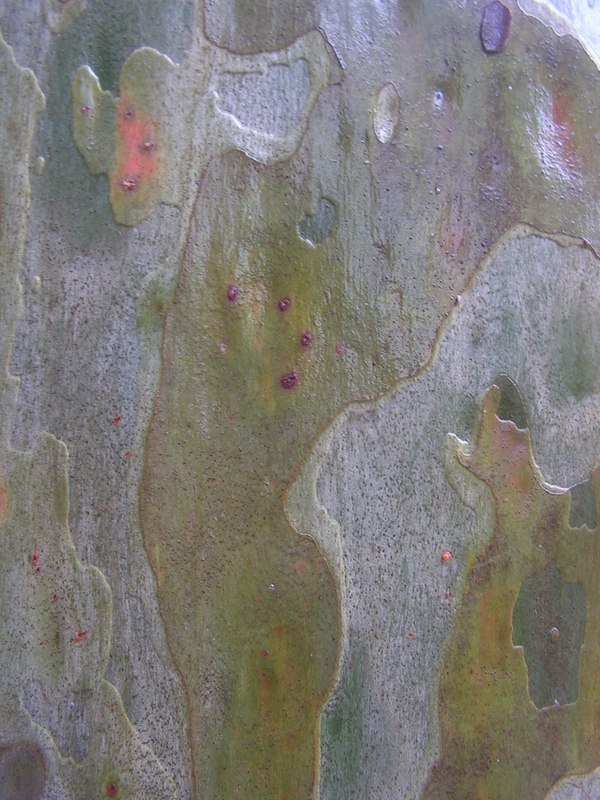 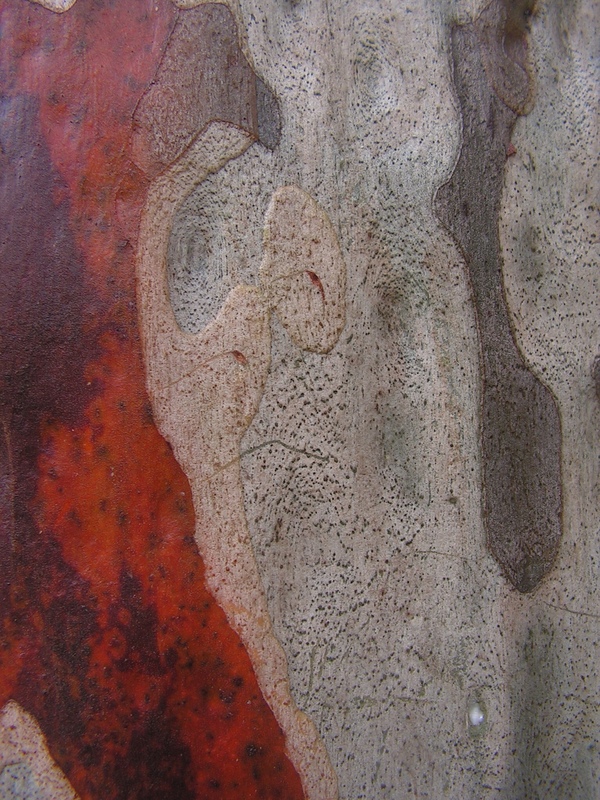 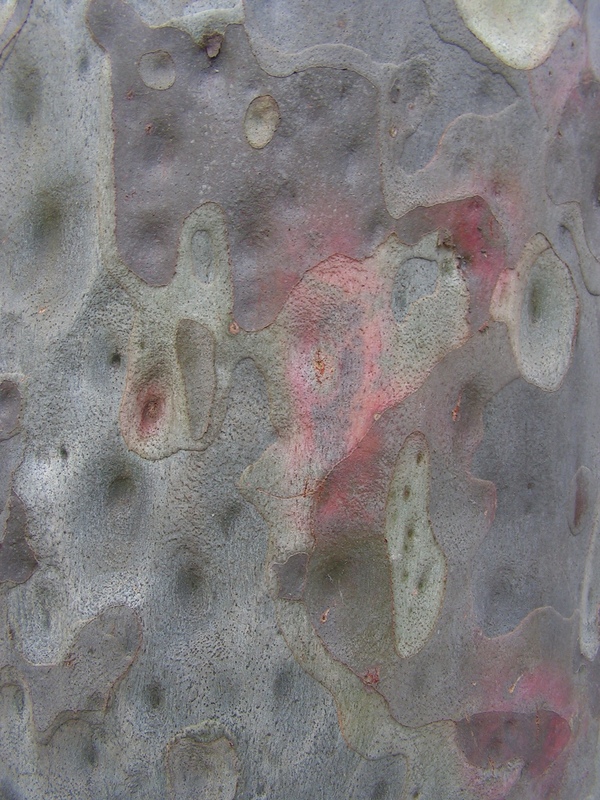 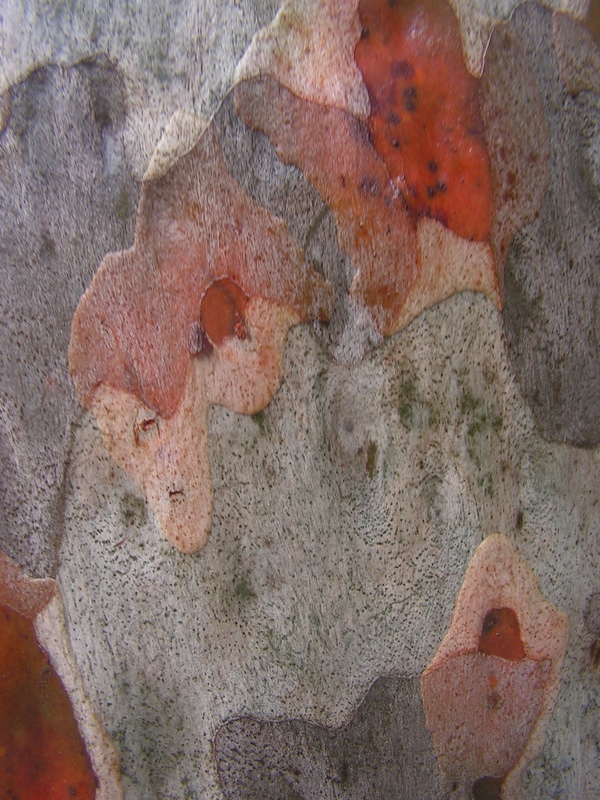 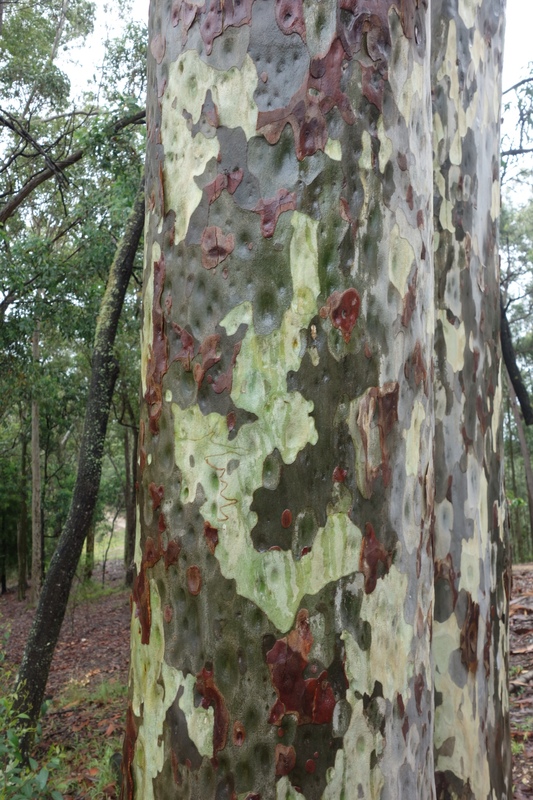 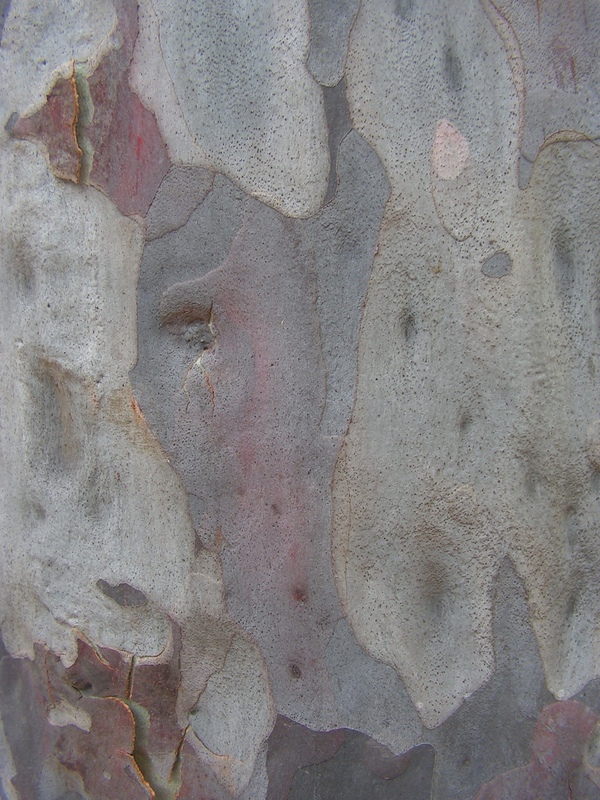 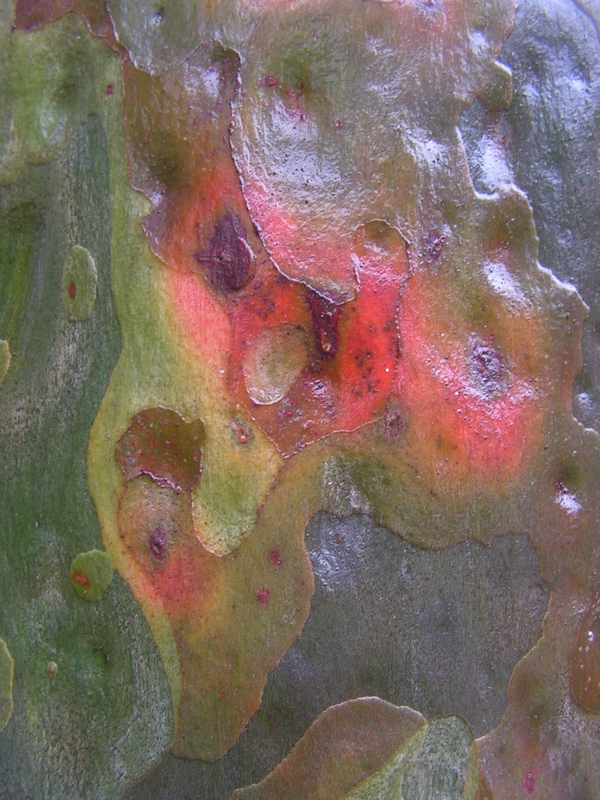 I know I’ve posted photos of spotted gum bark before, but the palette is different this time. 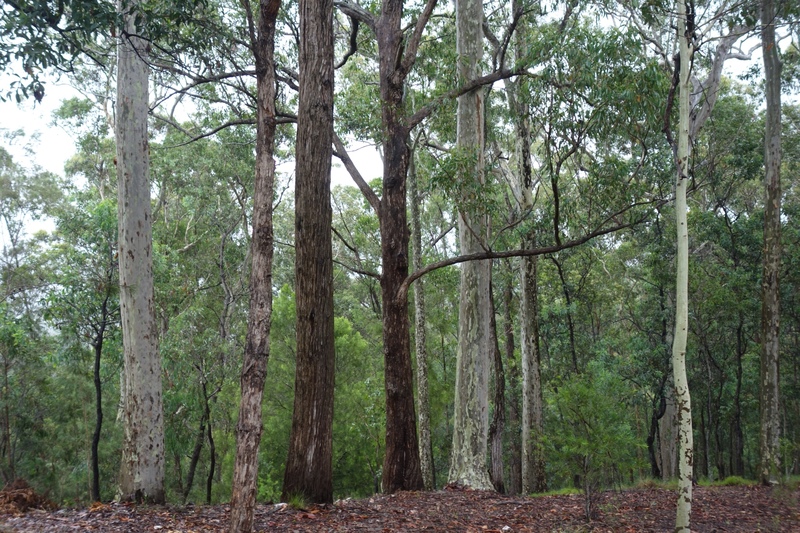 These trees are just outside the front door of the place where I spend weekends, and the place where my children grew up. 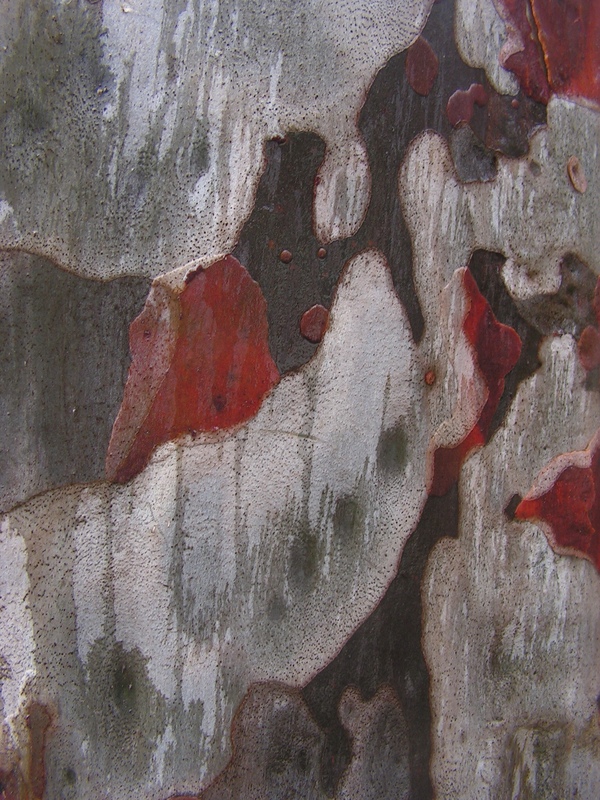 Children and trees are a lot older now, and both display ever-changing beauties. 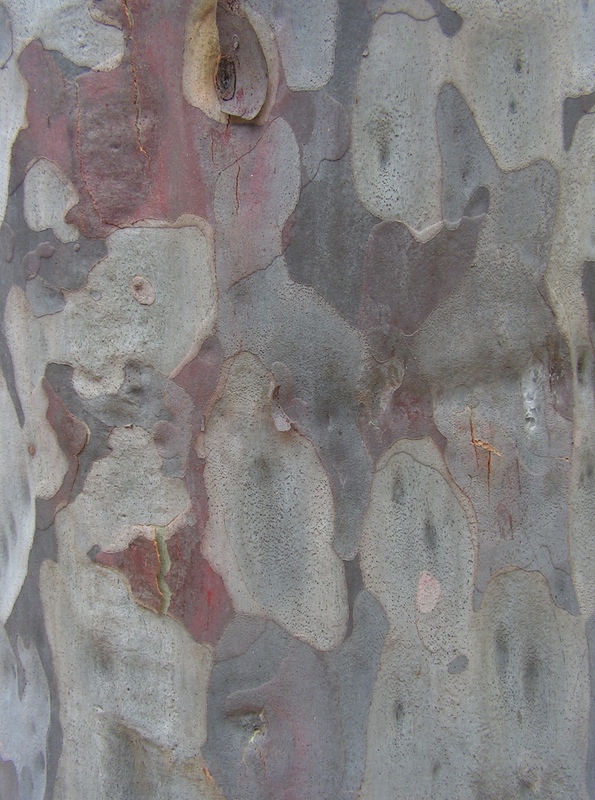 This is what I found this morning, between the front door and the car. 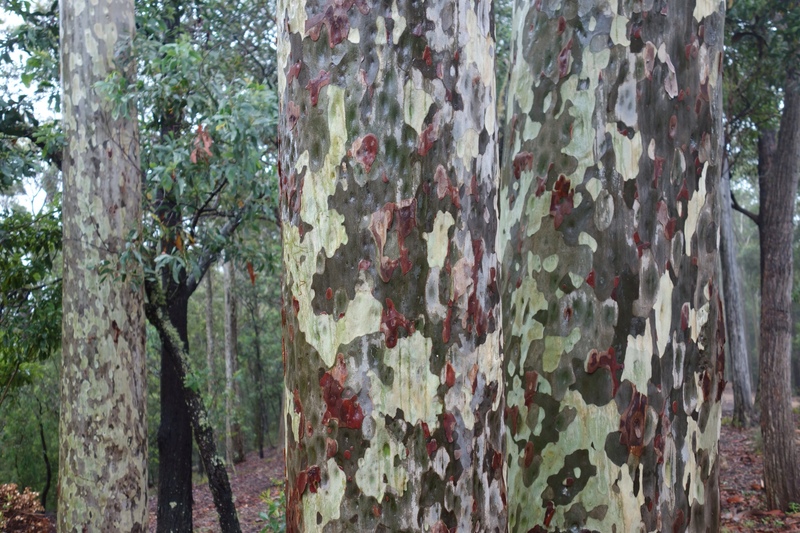 Spotted gums (Corymbia maculata) gleaming in all their after-rain glory. 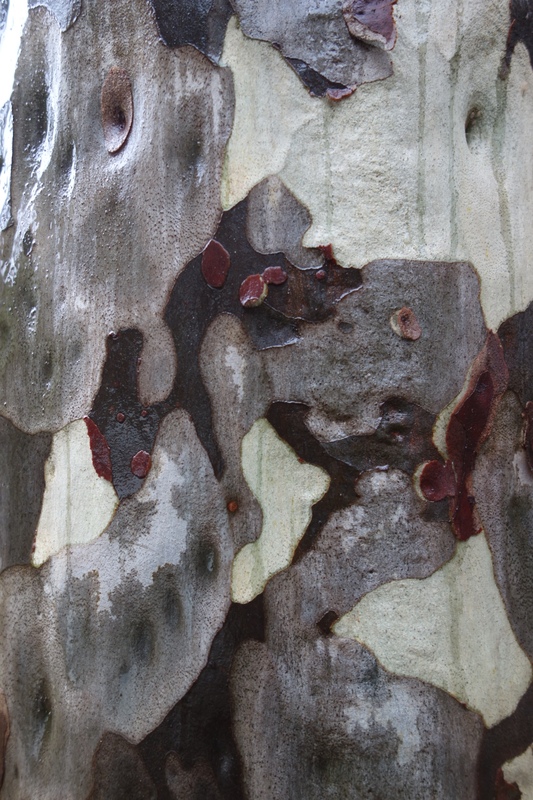 And here's a sampling of the same bark, about three hours after rain. 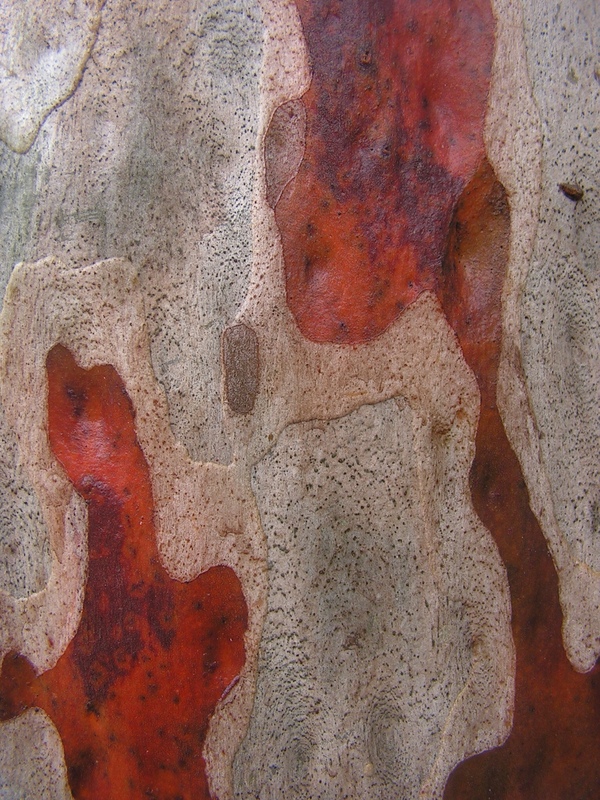 Taken with my old camera in CIM (complete idiot mode) with no editing or fiddling of any kind.